RIHXE12R is a compact MID Certified single phase two wire solar generation meter. The cost-efficient design and offers an excellent price-performance ratio. 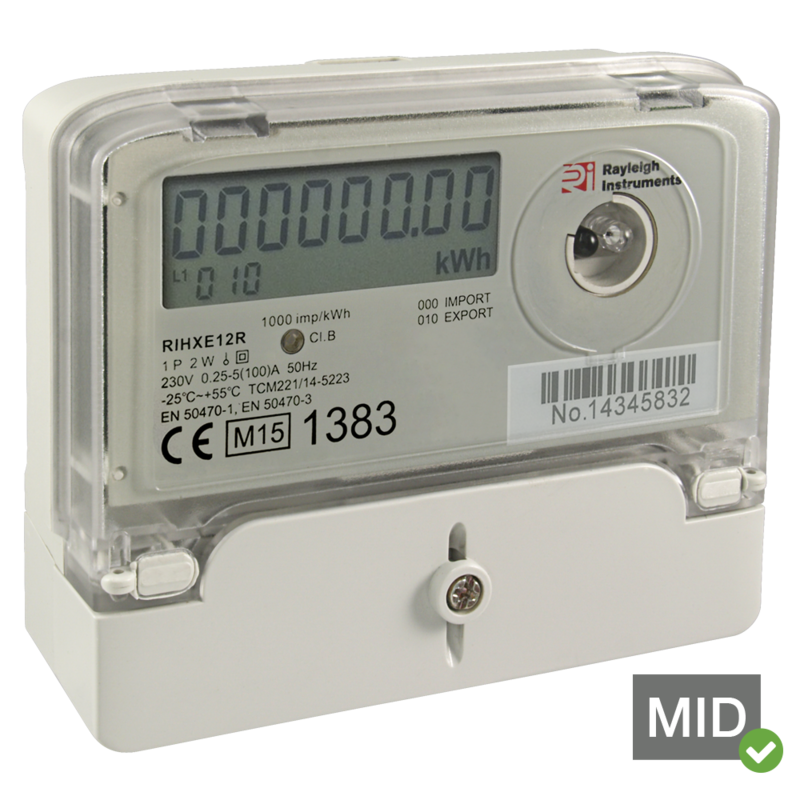 RIHXE12R is a MID B&D certified energy meter that measures kWh’s on a single rate. The maximum input current is 100 Amps. 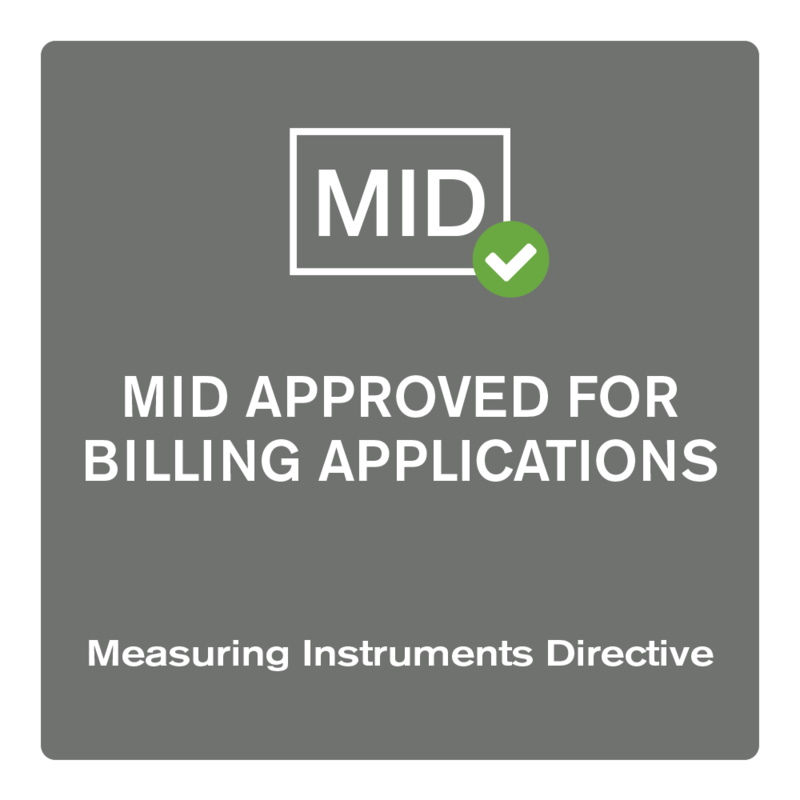 RIHXE12R has a Class Accuracy B according to the MID (Measuring Instruments Directive) approval. RIHXE12R provides measurement of active (kWh) energy in both import and export directions with registers shown on the large easy to read LCD display. RIHXE12R is sealed for life by a liquid welding process and therefore does not carry an external wire seal. RIHXE12R is approved to EN 50470-1, EN50470-3. 000 is the Import Reading - which is what is being generated by the inverter. The meter will autoscroll between the 2 readings every 15 seconds. This meter is designed with reverse energy detection functionality. Once the reverse energy is detected, the symbol above will be shown on LCD. The reverse energy indication will disappear once the reverse energy event is removed. Note: The power threshold of reverse energy is 5% of Un*Ib. When reverse energy exists, and the current power exceeds the power threshold, then this event will be detected as reverse energy.